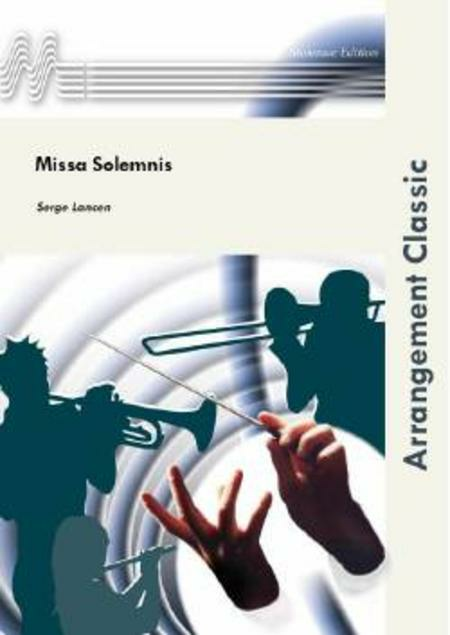 Composed by Serge Lancen. Latin Songs/Classical Songs and Oratoria/Sacred Music/Mixed Choir and Band. Classic Arrangement. Recorded on Missa Solemnis (ML.311028720). Full set. Duration 37 minutes, 10 seconds. Published by Molenaar Edition (ML.011964110).